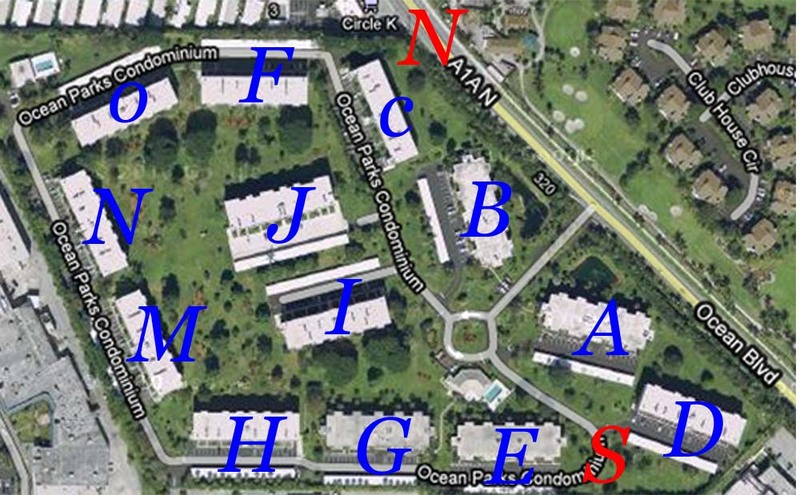 Ocean Parks Jupiter is one of the first condominium communities that was built beach side here in Jupiter. It consists of 13 condo buildings (328 residences) ranging in height from 4 to 5 stories. The property consists of 30 + acres of land. The number of units vary by building. There are condos ranging from 1300 ft.² to just over 2000 ft.² featuring two and three bedroom units. The original buildings have interior hallways and the newer buildings have catwalk style walkways. All the buildings have locked front lobbies for security. These condos are some of the best values here along the beach. There are several different two and three bedroom floor plans ranging in size from 1200 to over 2000 square feet. The floor plans are well thought out, spacious and open. Most buildings have balconies or patios overlooking vast green areas. All buildings have an elevator for convenience. Priced at the lower end of the spectrum for the beach area, Ocean Parks provide entry level pricing for beachside condos. There are some restrictions-no trucks, campers or RVs. Open and covered parking vary by building. One pet allowed twenty five pound limit. Rentals are permitted with a six month minimum lease period after a two year period. Two large community pools and two clubhouses serve the community. Ocean Parks is located on A1A just north of Indiantown Road and West of Ocean Trails which are the only condos that sit on the sand in Jupiter. A short walk to the Maltz theater, grocery, retail shopping centers, restaurants and a movie complex. The soon to be completed Riverwalk is also around the corner. Just across the street is the Jupiter Dunes Par 3 golf course. There are several beach parks also within walking distance. Carlin Park just south of Indiantown Road offers beach access, tennis courts, jogging/walking trails, an amphitheater, a playground, picnic pavilions and barbecue areas. Dubois Park at the Jupiter Inlet and Jupiter Beach Park are more local parks. Ocean Parks is a great centralized location at the north end of the beach with access to everything you need within a five minute drive. 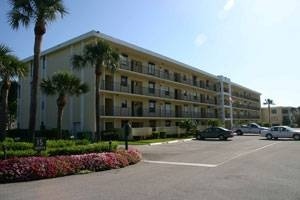 If you are looking for Jupiter Beach condos you should look at Ocean Parks. We do more than just beach condos and also sell Jupiter golf communities and Jupiter waterfront homes. Our team offers options for every buyer even if you don't want beach living. Abacoa in Jupiter is always a popular location for families and snowbirds.